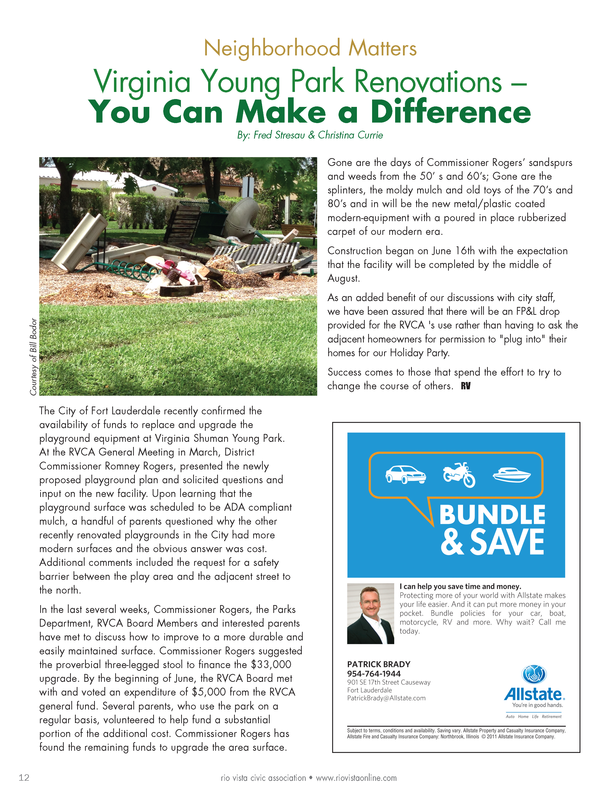 The Protect Rio Vista program utilizes your subscription funds to hire off-duty Fort Lauderdale police officers to patrol in the neighborhood. The officers are in uniform when on duty and have full authority to take official action action should a crime take place while on patrol. The officers patrol in a marked car leased by the civic association and will be dispatched by FLPD for any 911 call recieved from the neighborhood. Members also recieve a cell phone number by which they may contact the patrol officers directly while they are on duty. Members also recieve the opportunity to request a vacation check of their home when they are out of town. The latest news on events and happenings in and around Rio Vista. Check back often for updated info! SE 11 Isle has been targeted for 3 auto thefts over the past 3 weeks. In one instance, a suspicious newer model black Nissan Rouge was observed in the area of the theft. The attached video below shows the suspects at work. 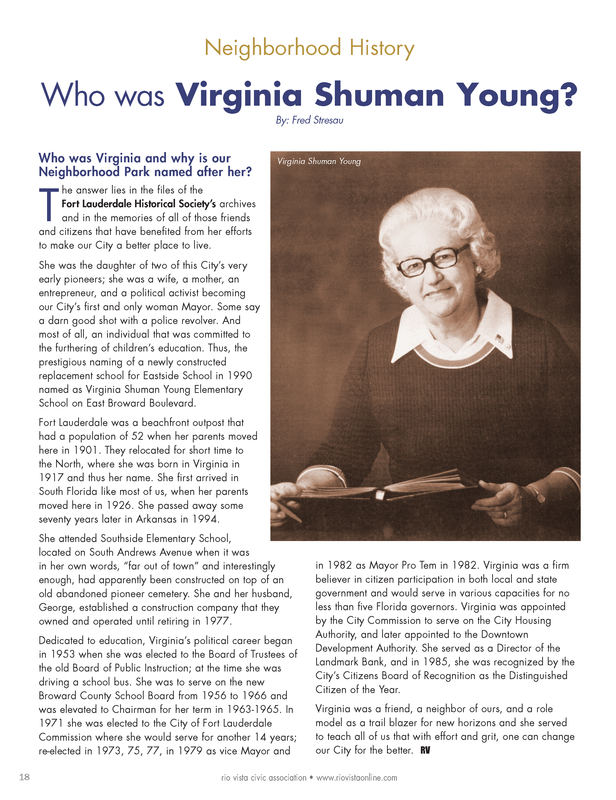 Who Was Virginia Shuman Young? 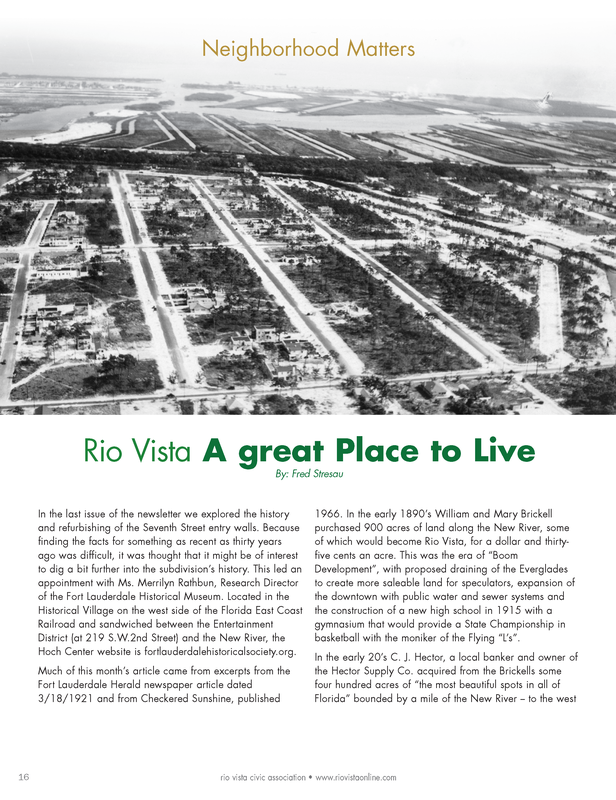 From our September/October issue of RIO VISTA! If you wish to donate to the playground improvements in Virginia Young Park, please use the paypal button below or send a check to RVCA, PO Box 460386, Ft. Lauderdale, FL 33346. 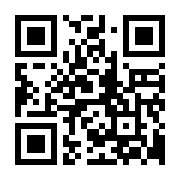 Do you have news, notices or event information that ALL of Rio Vista should know about? Copyright © 2019. Rio Vista Civic Association, Inc.